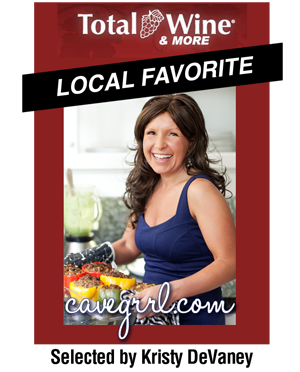 A few weeks ago, I was chosen by Total Wine & More for their Total Wine & More “Local Favorite!” program. 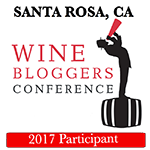 This program features a local media “influencer” each month and allows them to pick their favorite wines to recommend to customers. For the next month, I’ll be pictured next to my wine selections (with a tag that will resemble the one above) in the Sacramento (Arden) store with a link back to this website. I was very honored to be approached, and I quickly decided I would select some rosés for the month of August. I couldn’t think of a more perfect wine for summer––a wine that pairs well with almost anything. I feel rosés are overlooked, slightly under appreciated and all too often confused with that sickly sweet white zinfandel stuff that was first made by mistake, (but a serendipitous one for them at that) by Sutter Home in 1975. No, the rosés I am talking about are so much more than their cloying white zin “dopplegängers”. These wines have finesse, refinement and are fruity and flavorful, yet much drier. 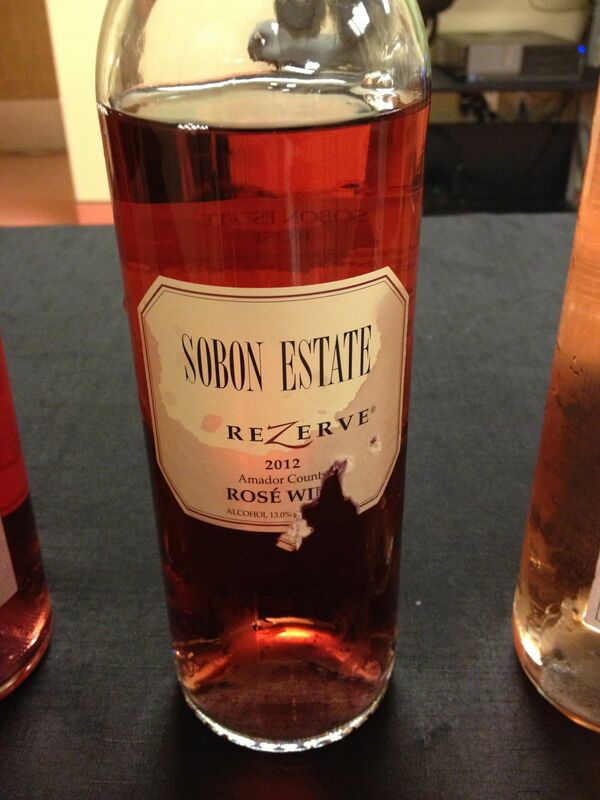 I discovered I truly did like pink colored wines again (and the difference between a white zinfandel and a rosé) a few years ago (2008 to be exact) when I tasted the Valley of the Moon Rosato di Sangiovese at the California State Fair’s Grape and Gourmet event. Since then, the rosé thing has been slowly catching on. I have tried and enjoyed several since: Bray Vineyard’s Rose of Barbera and Nichelini’s Rose of Cabernet to name a few. 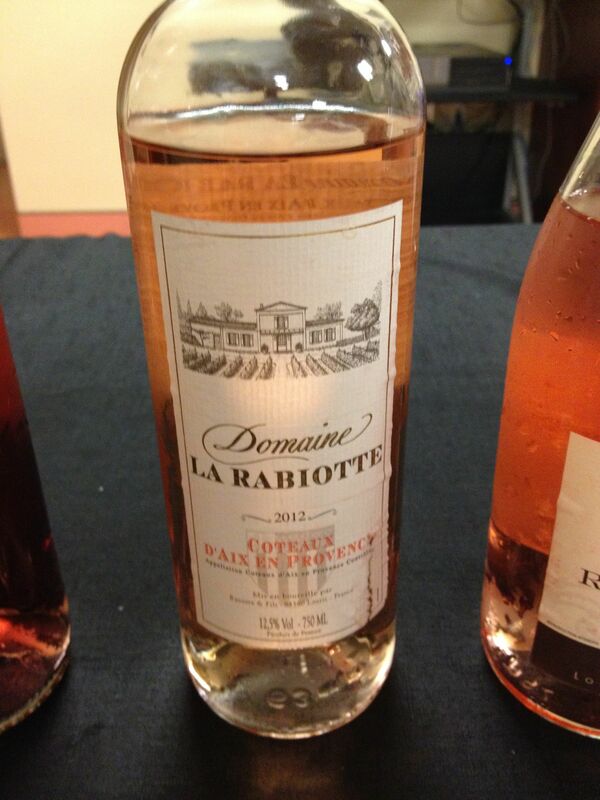 Since that Grape and Gourmet event, every time the thermometer rises, my go-to wine is a rosé. And I think this summer especially, I am completely obsessed with interested in them and want to try as many as possible so I can learn even more about them. Andy and I met up with Total Wine’s (Arden Store) Wine Manager Theo Snyder last Friday evening to taste an assortment of French and California rosés, so I could personally recommend three of them to you and the customers at Total Wine & More, Arden. 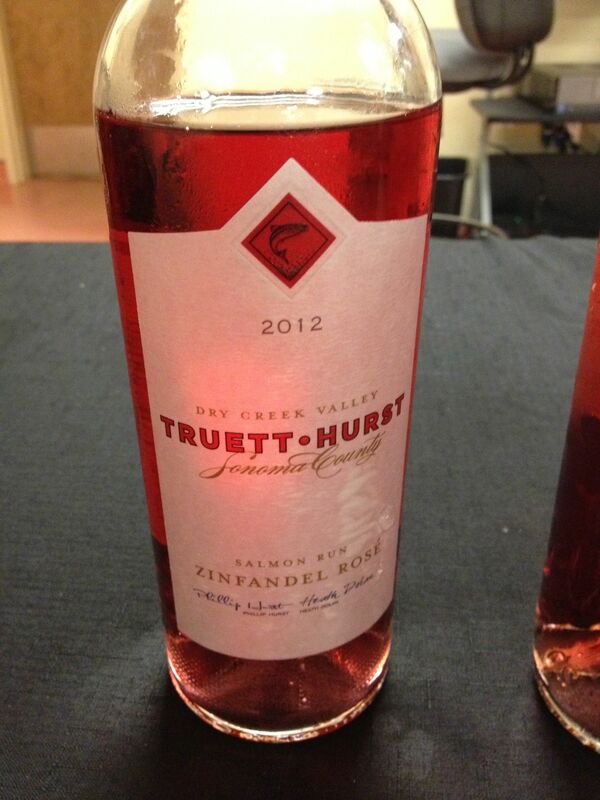 My third choice is the Truett Hurst Zin Rosé Dry Creek 2012 ($17.99), which I feel is the perfect rosé wine for red wine lovers who might think they aren’t a fan of rosés. It delivers a burst of flavor and settles in between a Goldilocks-esque not-too-sweet, yet not-too dry flavor. This one works with or without food and if I stuck with straight rosés through a whole dinner, I would have this one for dessert with fresh fruits and cheeses. I’d like to thank Total Wine & More for asking me to take part in their “Local Favorites” promotion. You can find them on Facebook here and follow them on twitter here. This entry was posted on July 31, 2013 by cavegrrl. It was filed under Uncategorized and was tagged with food, rosé, sacramento, summer, Total Wine & More, wine. Love Sobon and Truett Hurst! We’ve been to both vineyards and all their wines are pretty good! 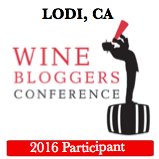 How fun to be the local wine influencer for the month! I love Total Wine! Thanks, Giselle! 🙂 I was extremely honored!